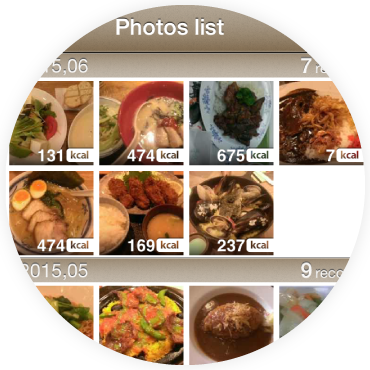 FoodLog App keeps meal record and other information by taking pictures. The picture is shared with FoodLog Web service. Casually taken food is actually important element of our future body. 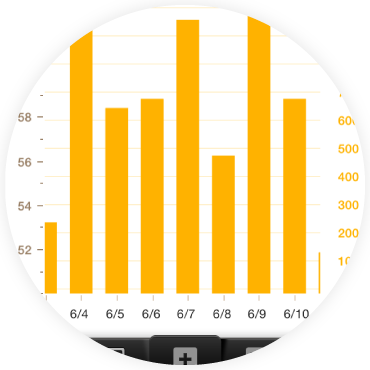 Keep meal diary with photos for health care. 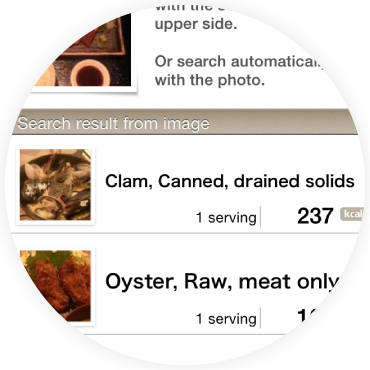 Tapping a photo pulls out a list of candidates from a food database. Just tap on the list to select a food name to make precise meal and calorie record, you don't need to input text for search. By sending pictures of meals to FoodLog Web by email, it keeps meal record. Meal registered by the App are seamlessly accessible on the Web service. FoodLog Web provides nutrition balance control and mapping function etc. in adition to the App's function. We provide the image analysis technology used in FoodLog service as a Web API. Our food-specialized algorithm permits image analysis of food pictures, which are usually difficult subjects of image recognition due to a wide variety of shapes, colors, and textures of foods. The API makes new information services possible such as nutrition-related health informatics, entertainment application, and marketing via food image posting website.